Dr Tahera and Staff are very pleasant and helpful. Dr Tahera made me very comfortable, addressed all my concerns.Very caringand highly recommend for anyone. She never makes me feel like she is rushing regardless of the fact she may have a full schedule. She addressesall my concerns. She never makes me feel like she is rushing regardless of the fact she may have a full schedule. She addresses all my concerns. She was very pleasant and asked questions. She is an awesome doctor...She knows exactly what the problem is...Too good!!! Very helpful, easy to talk to, and answered my questions in detail. Very nice ladies. A comfortable experience. Very pleasant and professional office. I felt comfortable and cared for. Highly recommend. Empathy, compassionate and thorough come to mind. The doctor was kind and understanding. She also listened to my concerns and addressed them. Very caring. She listened and examinated carefully, and gave her input. Doctor's direction was clear and direct, I appreciate that more than anything, it was a good experience. I really felt comfortable with her and even though I've just met her I'm super confident in her knowledge and care level. Very high caliber doctor and super understanding, she definitely cares about her patients! Actually can't wait to see her again! The doctor was very friendly and made me feel comfortable. All my questions were answered appropriately. 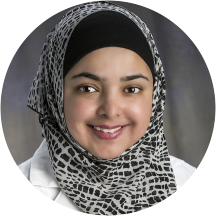 Dr Azharuddin and her staff are very thorough and concerned about your overall health. The office environment is pleasing and welcoming. Extremely impressed with Dr. Azharuddin. She is very thorough and shows a real regard and caring for her patients. She was extremely agreeable and professional. First time meeting this doctor. She was friendly and efficient. Her office staff was also nice. They made sure to take care of all my needs in this visit. Great bedside manner . She listens and cares about her patients. It took the doctor 45 minutes for the doctor to see me. Not to mention the doctor only saw me for 3 minutes. The medical assistant was very incompetent. This appointment was a disaster. Very quick and professional. Had no trouble with blood draw though other clinics have struggled with my veins. Dr. Azharuddin was friendly and helpful, as was the nurse that saw me before. As with last time, she was knowledgeable and had good ideas about solving the issue at end. I would certainly return to her moving forward. Made an early Saturday appointment because other reviews warned of long wait time on Saturdays. Was thrilled to get in right away but lemme say it would have been worth a longer wait! The Doctor is kind, professional, sensitive, thoughtful,and efficient. Service was quick but never rushed, I came as a new patient , shopping for a new primary doctor, and i went in with wrist trouble. She asked if we could do a physical since i wad new and hadn't had one in a while. I figured why not i have a book here with me so if it takes a while that's fine. Well, it was done too quickly for me to even get my book out of my bag! I found our new PCP! Very nice staff and doctor, very professional and efficient. Never got the feeling of being rushed and I appreciate that the doctor was very attentive and helpful. The office assistants were very friendly, and while I waited a little longer then expected, it was a perfectly comfortable environment. Once Dr. Azharuddin came in, everything went wonderfully from there. Very helpful, comforting and to the point. Dr. Azharuddin was very helpful and informative about the next steps for my health and general updates on annual shots, exams, etc. The wait before I saw my physician was very quick. There was a slight clerical error when scheduling the appointment. I request a 1:15 PM appointment and the office scheduled me for 10:15 AM. Aside from that the staff was very professional and polite. I like Dr. Tahera's spirit. She was very knowledgeable but mostly comforting. Her office staff can be somewhat awkward. But overall, I've had a good experience. A great Doctor, considerate and very knowledgeable. Not only did she treat me for the reason I came, but also checked other potential issues to ensure overall well being. She will now be my family doctor. Made me feel very welcome! She even suggested a pharmacy switch for a freebie on my antibiotics! Am all set now after my prescribed antibiotics course! A terrific doctor, always takes time to listen to my concerns. Best to choose a time off peak as the waiting time can get long. Dr. Azharuddin is very attentive and she shows that she truly cares about the well-being of her patients. She is very knowledgeable and I would definitely give her an A+ for bedside manner. She is also great because she can care for all members of the family!! Never take appointment on Saturdays...Waiting time is more ahn 1.5 hrs. She a sweet heart she care alot about her patience. A pragmatic doctor, efficient no-nonsense operations i.e, fast, simple, honors the appointment time. Highly recommended. The wait was long but her office is very busy on Saturdays. Worth the wait. She is thorough and quick and to the point and super friendly. The staff there is awesome too! They won't let you be nervous there. Thanks for a good experience. Good visit I just had to wait over an hour to see her. Dr. Azharuddin is GREAT!!! I just had my first appointment with her today and honestly cannot say enough good things about her!! It was good, and the procedures of blood work and the flu vaccine were quick and painless.